Having never tried line dancing before, my roommate and I sought out some Seattle Line Dance Instructions recently. The concept may be easy, but even in the beginner dances we found ourselves lost at moments. Now that we have a few classes under our belts though, I think that we are ready to go out and Line Dance at the Rockin’ Horse Dance Barn in Renton, WA. 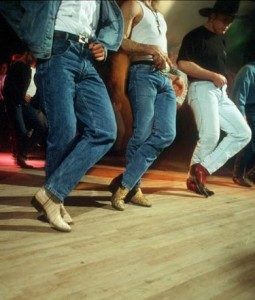 Many people think that line dancing is only done to Country or Western music, but that is simply not the case. Line dancing is choreographed dance steps that people do while standing in lines and can be performed to a variety of music—from Top 40 to classical. Due to the nature of line dancing, you don’t need a partner and it is a great way to meet new people.